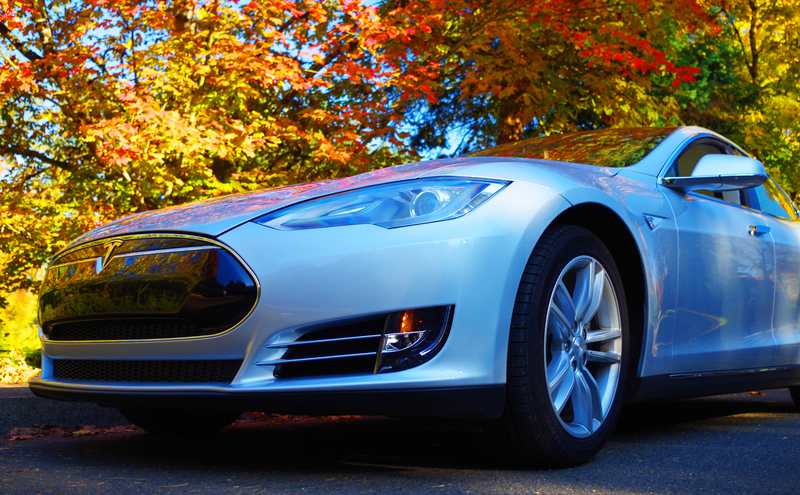 Tesla has been spotted testing a new sensor on its vehicles for the third time in a month. This time, it appears the company has rigged up a Model S with a new sensor above the windshield at the Sunnyvale test lab in California. The sighting follows two sightings of a Model 3 with two extra sensors toward the car’s rear, in the same week that one analyst predicted the Model 3 would come with a more advanced Autopilot function. On Monday, Electrek posted images from an anonymous source that showed a sensor with wires trailing into the car’s Autopilot computer. Site reader Luis Fialho noted that it looks a lot like a pyranometer manufactured by Huskeflux. These are used to measure solar radiation, but it’s unclear what Tesla could be using one for. Reddit users are speculating that the sensor could be collecting data for putting solar panels onto a Tesla, while others believe it may be the company simply testing to see how the system copes under different sunlight conditions. The wires are leading to the Nvidia Drive PX2 computer located behind a panel under the glove box. The company is planning a software update that would enable full autonomy, and Elon Musk has said the existing computer may need to be swapped out. However, Tesla has stayed firm that the sensors shipping on Hardware 2-powered cars, released in October, provide enough information to enable full autonomy. Despite this line, Tesla has been spotted testing cars with extra sensors. Last week, a Model 3 release candidate was spotted with an extra pair of sensors by the C-pillar at the rear. The day before the sighting, Morgan Stanley’s Adam Jonas said the company could be underselling the Model 3’s Autopilot capabilities to avoid eating into Model S and Model X sales. However, the company claims that the entry-level vehicle is not intended as a “next generation Tesla,” and the company has issued a statement explicitly saying that the Model 3 is a stripped-down version of the Model S.
In the case of the pyranometer, it wouldn’t be too surprising if Tesla was indeed testing for a new solar roof. Musk has previously suggested that the Model 3 could come with a solar roof option, which could help give the car’s range an extra boost. The pyranometer data could help determine whether this is feasible. Whether these new sensors are for Autopilot purposes, or if they’re for collecting extra testing data, it’s interesting to see the company exploring new ways to incorporate sensors into its vehicles. The current cars may ship with enough sensors for Autopilot, but that doesn’t mean the company won’t add in new sensors to contribute data that improves the driving experience.